National Aviation Day has been around for more than 75 years, and it's a great excuse to get others involved in learning to fly. Or, use it to put some spark back in your flying by trying something new in aviation. National Aviation Day is Saturday, August 19, but you can do these things on any days that's convenient. Here are 13 ways that you can celebrate today, or help get other people more connected to aviation. This is just a brief outline of the ideas; you can get more detail on each of these ideas in the latest episode of my Aviation News Talk podcast. Get someone else involved in aviation. If you are a pilot, take someone who's interested in aviation for a ride in an airplane. If you have already taken them for a flight, and you know that they are interested in flying and have the means to pay for flight training, help them schedule their first flying lesson. If you know of a good flight instructor or a local flying school, take them to the airport to meet the instructor or to talk with the owner of the local flight school. As part of the process, try to have your friend sit in one or more of the aircraft that he or she might be training in. And before you leave, make sure that there is agreement on the date for the first lesson. Then, help them get prepared for their first lesson. You could lend them your headset, or help them order one. 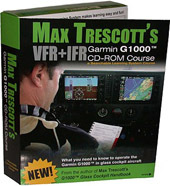 You might also want to help them download the many free pilot training books available at www.FAA.gov. You might also help them buy an online private pilot ground school, to help them learn the many topics they will need to master as a student pilot. Then, periodically check in with them during the flight training process. Find out which things they’re having difficulty with, and see if you’re able to help them overcome those obstacles. Learning to fly is a big challenge, and student pilots who have friends to help mentor them through the process are more likely to succeed in getting a pilot certificate. If you are a rusty pilot who hasn’t flown in a long time, start the process for getting back into flying! For example, on National Aviation Day, Rainier Flight Service and other operators at the Renton, Washington Airport will hold a Rusty Pilot seminar from 9am-12pm and a free BBQ lunch starting at 12pm. If you live in a different part of the country, check to see if there is a Rusty Pilot seminar scheduled near you. But you don’t need to go to a seminar to get back into flying. You can simply call up a flight instructor or a flight school and tell them that you want to get back into flying. It may take you several flights to regain your proficiency, but once you have done the required work, you will love the feeling of accomplishment you’ll have for having gotten back into the air. Fly in a new airplane type. One year, for my birthday, I treated myself to over an hour of dual instruction in a Stearman! These beautiful biplanes were use for flight training at the beginning of World War II. My instructor took me out to the practice area were he demonstrated loops and rolls. I had great fun, and it represented a small connection between my mother and me, as she had talked about seeing Stearmans fly overhead when she was a child growing up in Williamsburg Virginia in the 1930s and 40s. But you don’t have to get dual instruction. You could choose to take a sightseeing flight, and there are many operators that use fun planes like the Stearman to give sightseeing tours. Watch an aviation-themed movie. There are dozens of great Aviation-related movies, and with Netflix and other online services, you don’t have to be limited to the movies being shown in your local theater. But don’t just watch by yourself! Invite one or more friends who you know are interested in aviation but haven’t started flight training. 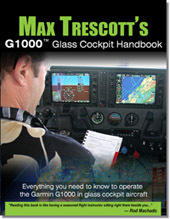 This could be the perfect way to have that conversation, and encourage them to finally take that first flying lesson. Fly a flight simulator. This can be fun regardless of whether you are already a certificated pilot. If you’re not a pilot, or if you are a private pilot and are thinking about instrument training, go to your local flight school to see what kind of flight simulators they have. Then sign up for an hour or two of instruction in their simulator. Flight school simulators are much less expensive then flying an airplane, but they can still be instructive in many ways. Or, if you’re already an instrument pilot, you might be interested in flying something like a full-motion Airline simulator. While there are relatively few of these around, you might take the day to research where you can find a high-end full motion simulator that you would enjoy experiencing. If you are a licensed pilot, fly somewhere new! And when you do it, take along someone who you feel is a good candidate for becoming a pilot. You’ll want to think about planning the flight in a way that will be most pleasurable for your friend. For example, if it’s often turbulent in your area during the afternoon, then you might want to plan to fly during the morning or the evening. Make sure that you have a good headset that he or she can use, so your friend doesn’t become fatigued by the low frequency noise and vibration of small planes. Also, encourage your friend to bring a camera to take pictures from the air. For example, you might want to fly him or her over their house on the way to your destination. Since it will be a new destination for you, make sure that you find out as much as possible about the destination airport before you arrive. You might even want to call that airport to see if they have any local tips, noise abatement procedures or other recommendations for flying into their airport, and for things to do after you arrive. For example, you might want to choose an airport that has an aviation Museum that you could visit that is on or near the airport property. Visit an Aviation Museum. This could be a local museum that you drive to, or one further away that you might fly into. Many Aviation museums are offering free admission and/or free programs for children on National Aviation Day. I listed many of them in the AviationNewsTalk.com podcast. Many museums are having open cockpit days and programs where children can build an airplane and perhaps fly it. Fly a radio controlled airplane! Even if you are a certificated pilot, you will probably be amazed at how different it is to fly a model aircraft, and how fun and satisfying it can be! But, don’t just buy a model airplane and try to teach yourself how to fly it in a nearby park. If you do, be aware that the odds are that your model will probably be destroyed in less than 30 seconds! The best way to learn to fly a model aircraft is under the tutelage of an experienced RC pilot. The best way to find an experience pilot is to search for a local RC flying club. Some of these clubs are holding events on National Aviation Day where they will give visitors the experience of flying an RC plane. One way they can do that safely is by using two transmitters set up in a Buddy box configuration, so that the experience pilot can immediately take over if when you’re controlling the aircraft it is headed the wrong way! One good place to search for RC clubs is through the Academy of Model Aeronautics. Just type in your zip code to find a nearby club. Volunteer to help an aviation-related organization. As a pilot, I have volunteered for at least four nonprofit aviation organizations. One was Angel Flight West, which matches pilots with people who need help getting to a doctors appointment for a check up in a city that would be a very long drive from their home. For example, I once flew a heart transplant patient who was just fine, but who needed to visit Stanford Hospital for a checkup every quarter. These patients are ambulatory, so they are able to get in and out of general aviation aircraft with a minimum of assistance. Pilots are just responsible for getting them from one airport to another, and the patients are responsible for all of their ground transportation. This is a really great way to use your pilot skills to help others who may be a little less fortunate than you are. For many years, I also flew volunteer doctors and dentist to Mexico so that they could provide free services to people living in underserved areas. These were four day weekend trips with usually a team of about four people, Including a translator. Once we reach the destination, the pilot would assist the medical team in minor ways. There was great camaraderie on these trips, and everyone came back satisfied knowing that they had helped make life a little better for as many is 100 people per trip. I also built the Los Medicos Voladores organization's first website in late-1995! You can find it at FlyingDocs.org. I have also flown teenagers for EAA’s Young Eagles program. This program has flown more than 1 million kids at airports all across United States. To participate in giving these free flights, pilots need to join EAA and a local EAA chapter that puts on Young Eagles flights. This is a great way to give many kids their first exposure to general aviation, and some of these kids become inspired to eventually get their pilot certificate. 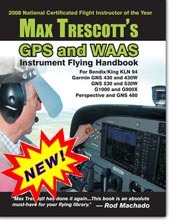 Download and read an aviation book from your local library or from NASA! Many local libraries now offer free e-books that you can download and read on your Kindle or other e-book reader. The best part about borrowing e-books is that you don’t have to go into the library to get them, they are returned automatically, and you will never pay a late fee or fine! 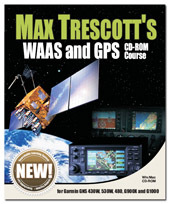 Both NASA and the FAA offer many free e-books for download over the Internet. You’ll be surprised by the quality of these books and how many there are. So have fun relaxing while reading in aviation book. Go Plane Spotting. This is fun to do at both commercial and noncommercial airports. Take along a friend who is interested in aviation and make sure to bring along your cameras as well. Then take your best photos and post them on social media so other people can see them. Some airports have spectacular locations for watching airplanes. For example in Los Angeles, people always talk about watching the planes landing at LAX while eating at the nearby In-N-Out Burger. So if you can’t go flying on National Aviation Day, at least go out and have fun watching airplanes! Thank someone who works in the aviation industry. The next time you take an airline flight, take a moment to stop and thank one or more members of the crew. These days, hardly a week goes by without some story in the news about something awful that happened on an airliner. Increasingly, airline crews are having more contentious interactions with their passengers. So take a moment to let them know that you appreciate the things they do to try to help keep you safe. And if you are a pilot, take a moment to thank your flight instructor. Flight instructors are the backbone of the general aviation industry, but they rarely get the recognition they deserve. Let your flight instructor know that you appreciate all the things he or she taught you to help you be a safe pilot. And don’t wait to do this. Years ago I went back Pennsylvania and visited my flight instructor who first taught me to fly back in the 1970s. I was grateful I did it then, because a few years later he died in a car accident. So National Aviation Day is a great excuse for calling up your flight instructor to say hello. Take an aviation course. If you are a student pilot, find a local ground school course you can attend. One good way to locate these courses is to contact a local flight school to see if they know of one. Or, if you are already a pilot, take some of the free online courses that are available at FAAsafety.gov and at AOPA’s AIr Safety Institute. Both sites have many free courses and you are bound to find one or more that interest you. But the real benefit is that taking some of these courses could make you a safer pilot. And if you take three or more courses at FAAsafety.gov, you could already be halfway to completing the WINGS program, which is a substitute for the flight review (BFR) that pilots need to do with a flight instructor every two years. If you are unfamiliar with the WINGS program, just listen to episode 23, where we talked about it in detail. Have fun on National Aviation Day! And if you're not already a listener, please check out my Aviation News Talk podcast for weekly General Aviation News and safety tips. And keep the blue side up!